What’s the strangest thing you have in your home? I’ve got a giant work boot, the size of an umbrella stroller, and a mannequin. Why, you ask? Those items were part of a collection I had when I taught second graders. 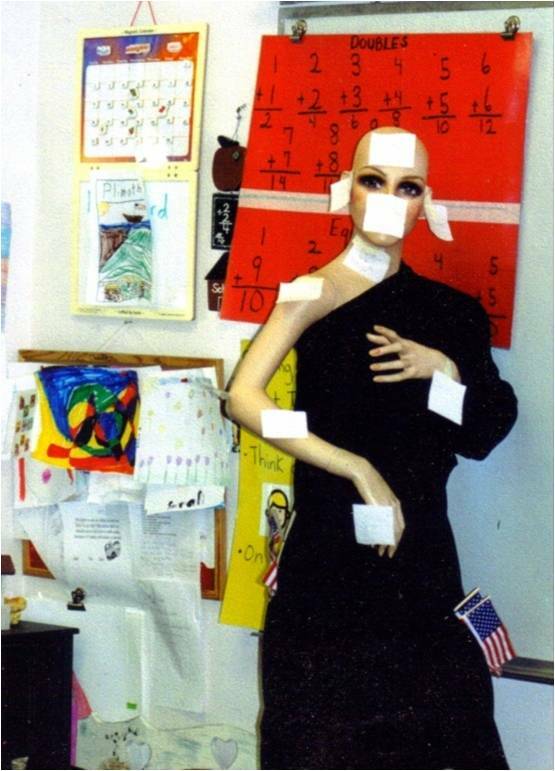 The mannequin served as a 3D bulletin board. The giant boot was the perfect size for an eight year old to rest and read a book. They remind me of fun times. Other items remind me of God’s work in my life. Like the Post-its in my Bible. When our son, Rob, was a senior in high school, he wanted to have devotions with me. The Post-its represent portions of the Bible we read together. I’ll never remove them. 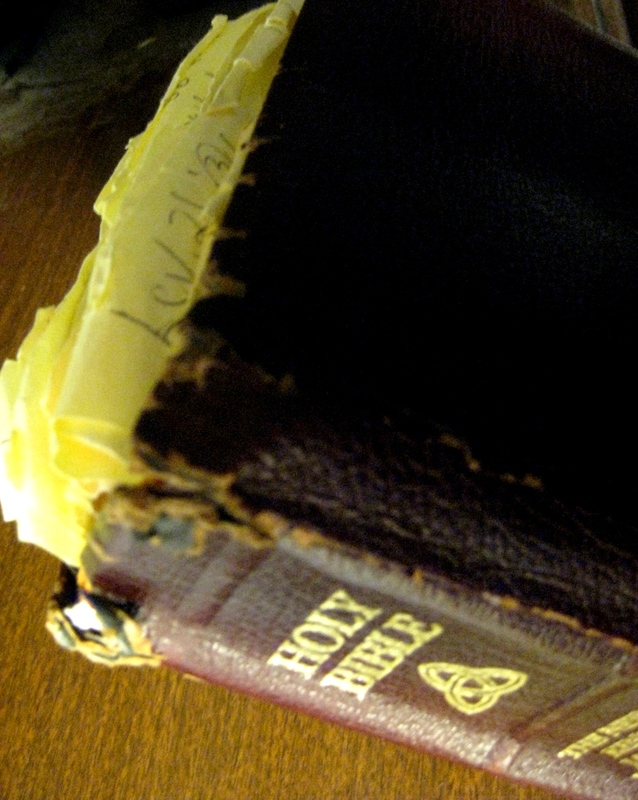 There’s someone in the Bible who put an unusual item in his tent (or some believe he put it in God’s tabernacle). Read what the boy, David did just after he killed the giant. “David took the head of the Philistine, and brought it to Jerusalem; but he put his armour in his tent” [1 Samuel 17:54 (KJV)]. What an odd thing to do: store the enemy’s armor in his tent! Why would he do such a thing? It served as a reminder of how God enabled him to have victory over a giant. 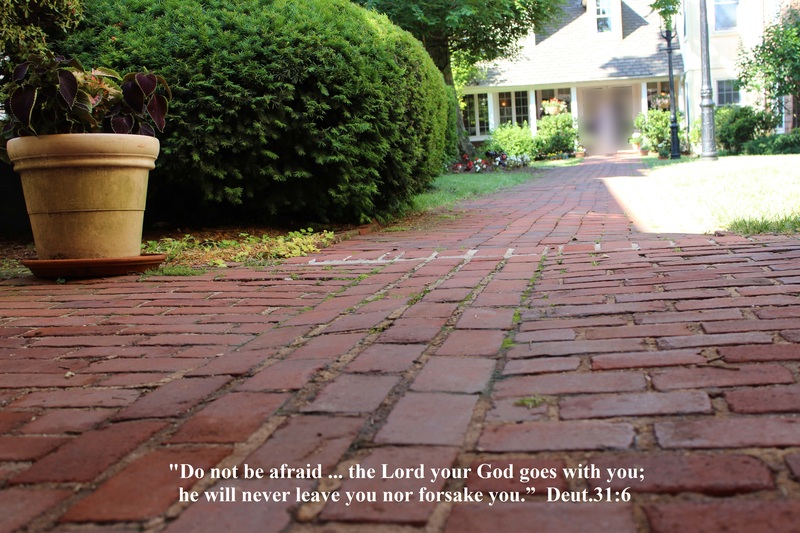 Has God enabled you to have victory over the mental illness (MI) giant? What can you use as reminders? Why is it important to have tangible reminders? We try to forget horrible times when our child struggled with MI. So, we tend to forget that God revealed His power, peace, and presence when we needed it most. That’s why we need reminders. Concrete items preserve the memory of His sufficiency. They help us when challenges return (as we know they will with MI). When the enemy attempts to incinerate our faith, those memories extinguish his efforts. Each memory strengthens our fortress of divine assurance, which protects our heart from breaking. I know God will carry me through, just as He has done in the past. My tokens of God’s goodness include: entries in my journal and Bible verses God embedded in my heart during difficult times. I also cherish photographs which depict Chris’s restored mental stability and renewed joy. What items do you have or could you collect?